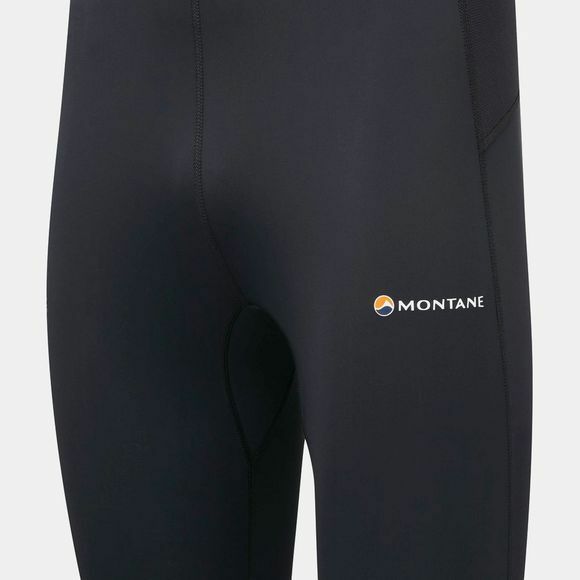 The Mens Trail Series Short Tights from Montane; is suitable for wherever you may be, from going on a run through forest paths, or wearing casually for a walk around town. Our story is one of cutting-edge innovation and intelligent design. Of pioneering expeditions, extraordinary athletes, inhospitable places and the world’s most brutal and iconic endurance events. For 25 years we have pushed the boundaries of where our lightweight clothing and equipment takes us. It is who we are, what we are made of. It is what defines us. We've used our expertise to create a collection of running, walking and mountaineering clothing and packs that are engineered to withstand the most extreme conditions and environments possible, giving everybody who experiences the quality of Montane the performance edge to go FURTHER, FASTER.